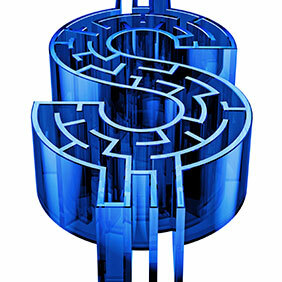 You are here: Home / Finances / Healthy Aging Magazine Finance Article: How Much is Enough? Will You Outlive Your Savings? Healthy Aging Magazine Finance Article: How Much is Enough? Will You Outlive Your Savings? How much savings is enough for the long haul? Lifespans of hundreds of years may sound preposterous, and they won’t happen any time soon, but according to a number of scientific studies, longer, even much longer lifetimes may become more commonplace. In fact, advances in medical control of aging are already prolonging life such that in less than 20 years there may be more than a million people aged 100 or more around the world. A child born in the United States in 1900 lived on average to age 47. Today the average life expectancy is 78.6 years. But consider this, if you are already 65 years old, most insurance actuaries expect you’ll make it to age 85. While all those extra birthdays sound wonderful, they also present some serious challenges both to society at large and the individual. Clearly we will all be working longer. But even if retirement is postponed by a decade, at some point we’ll want to retire, and that poses perhaps the greatest predicament. Traditional retirement programs, pension plans, and Social Security will not be able to keep up with today’s older generation living well into their eighties or nineties. Financial planning for retirement takes on a whole new meaning when one contemplates spending a prolonged retirement living off whatever one has managed to squirrel away. According to a MetLife Retirement Income IQ survey, nearly two-thirds of pre-retirees say that the odds of living a long life are their number one financial risk. Nearly nine out of ten surveyed said they are actively trying to secure retirement income, and 62 percent said they have sought professional advice. While interest in lifetime income products like fixed annuities is growing, and defined contribution plans such as 401(k) plans remain the most popular employer-sponsored retirement plan in the United States, many people are still dramatically underfunding their 401(k)’s. The Employee Benefit Research Institute reports the median 401(k) balance is only about $60,000 – a fraction of what most folks today will need to sustain themselves in a long retirement. Only the top 0.2 percent of 401(k) savers have managed to amass portfolios of $1 million or more, an amount most financial experts estimate is a bare minimum to a comfortable retirement; at a drawdown rate of four to five percent per year, that will yield less than $50,000 annually in retirement income (which is subject to taxation). You don’t have to be a high earner to achieve a million dollar 401(k) retirement fund over the course of a 40-year career. Maximizing your 401(k) contributions takes discipline and determination, but even earning about $35,000 per year, you can get there, providing you contribute the maximum allowed by law and at a consistent rate of 12 percent to 13 percent of your annual salary (including a company match). So why are most 401(k)’s so underfunded? The primary reason is, of course, not saving enough for long enough. However, there are additional contributing factors: the recent recession and high unemployment surely took a toll on many 401(k) balances. In addition, since they were first developed back in the 1980s, 401(k)’s have grown increasingly complicated, and frequently, high fees for administration of the plan and portfolio transactions in managed mutual funds have diluted long-term investment gains. Happily, that all may be changing for a few reasons: Improving economies will likely result in 401(k) plan participants better positioned to contribute to their 401(k). And new Employee Retirement Income Security Act (ERISA) legislation that requires greater fee transparency allows both plan sponsors and participants to be better informed in order to evaluate service providers and plan investments. The financial industry is also making strides in developing technological advancements in investments that are increasingly being utilized in 401(k) plan offerings. New, more cost-efficient 401(k) products are coming to the marketplace, incorporating these advancements and offering investors a better mousetrap. 401(k) plans that include utilizing ETF based strategies, for example, offer lower costs and have the ability to precisely target specific asset classes. Lower costs investments, in general, can increase investment returns. More efficient, less expensive plans encourage not only increased participation overall, but also tend to generate greater funding by individual participants, especially when they are counseled to understand the long-term financial security a well-funded 401(k) can provide over a longer retirement lifetime. 1. Calculate your retirement savings goal. If you don’t know how much you need, how can you know what is enough? Most 401(k) vendors provide free tools and calculators to help identify this number. Visit your plan’s website, and see what is available to you. 2. Understand your 401(k) options. Attend any educational workshops or retirement plan meetings that your company offers. These meetings generally provide investment education and information regarding the investment options available within your plan. 3. Make the maximum allowable contribution. If that’s not possible, a good rule of thumb is to increase the amount you are saving by one to two percent each year. 4. Identify if your company makes a matching contribution, and learn how you can qualify for the match. If a match is offered, make sure you’re saving enough to take advantage of the match. You don’t want to be leaving money on the table. 5. Know your options in the event you leave your current employer. Most plans allow you to roll over into your next employer’s 401(k) plan. A rollover to another qualified plan or an IRA, won’t have any tax consequences or penalties. Taking a cash distribution will not only have tax consequences, and potentially penalties, but will also mean you’re starting your retirement savings all over again. To read more articles like this one, subscribe!